HOW DO I SHOOT TIME-LAPSE VIDEOS? For GoPro owners, creating time-lapse videos is relatively easy. 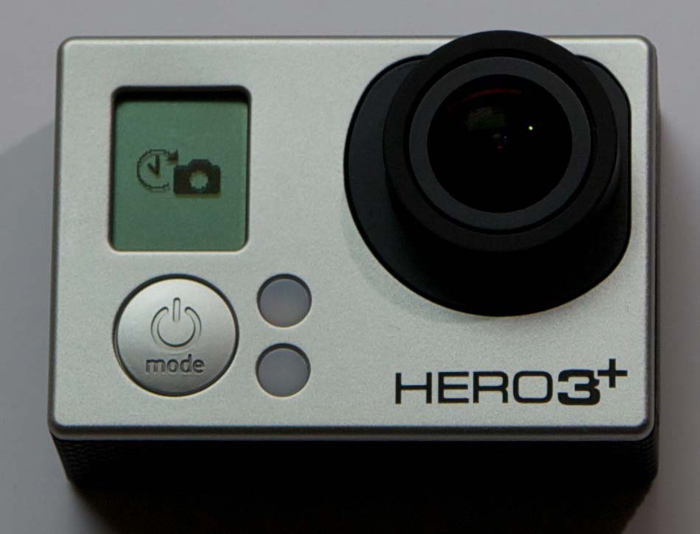 You’ll need a GoPro, which has a built in interval meter (the key component to recording the images over time). You’ll need a tripod to stabilize the camera (camera movement will draw attention away from the scene – this is bad). You’ll need GoPro Studio which is a free program that will allow you to quickly assemble all the still photo’s into a video. Before setting your camera up, you’ll need to make sure your GoPro is fully charged. You’ll be leaving your camera for a long period of time and having the battery die half-way through a sunset is not fun. Once you’re charged up, you can go to the settings and scroll through till you hit the time-lapse icon. This is where you’ll need to choose the interval. WHAT INTERVAL SHOULD I USE? Selecting the right interval comes down to what you’ll be shooting. What works for a time-lapse video of a road trip is not necessarily the best option for a sunset. It’s best to look at how rapidly change is occurring and make your decision off that. A 10 second interval for slow moving clouds is great whereas 1 second interval would be unnecessary because no much visible change occurs in that period of time. Make sense? To help out we’ve listed all the intervals and what they’re commonly used for. 30 Seconds: Path of the sun on a clear day; Moving Shadows; Night landscapes, stars, moon, etc. Once you’ve selected the interval you can attach your camera to the tripod and start snapping away. You’ll see the GoPro flash every few seconds when snapping a picture so you know it’s working. Then you wait. When the sun has risen, the people have left, or the drives over, you can turn your camera off and get ready to edit. But don’t worry, it’s easy. HOW DO I EDIT A TIME LAPSE VIDEO? Hopefully you already have GoPro Studio 2.0, the free program GoPro recommends for editing. If not you can download it here. There are endless programs for editing video but what stands out about GoPro Studio 2.0 is not only that it’s price-tag (free dollars), but how simple it is to use (especially for time-lapse videos). To start, all you have to do is connect your GoPro to your computer. GoPro Studio will open automatically (if not, open it). Then go to file import time-lapse. This will open a window allowing you to select the images you took during your time-lapse video. Select all of the images taken (or just click the first one and it will import all the images located in that folder) and they will be imported into the timeline in order. All you have to do after that is cut out any unwanted images (let’s say you filmed a sunrise and the first 50 images are black – get rid of that sh*t). Then click render. Rendering your video will compress the images together and format them into a video file. This will reduce the overall file size making it easy to upload to YouTube and other places. After this you should have the file exported to your desktop of wherever you designated. You should also be able to preview the video then. It’s at this time you’ll realize pretty quickly what you could have done to make the video better (maybe framed the shot better, or left it going a little longer). And that’s pretty much it. Once you jam out your first one you’ll be golden. It’s just a matter of developing an eye for it. And that comes with practice. HOW LONG SHOULD I FILM FOR? One of the many difficulties you’ll run into when filming time-lapse videos is knowing how long to film for. But fortunately, with a little math, you can calculate what interval to use and just how long you’ll need to film for. It’s extremely handy and something all veteran time-lapsers use. You can download the infographic we created which pairs this cheat sheet with a detailed recommendation for all the best intervals and scenes below. It’s invaluable. If you shoot time-lapse frequently, make sure you download the GoPro Toolkit.